A man who was shot by his own mother now faces charges after investigators determined that he tried to shoot her before she opened fire. On Friday shortly after 9 p.m., police were called to the 5700 block of McMahon Avenue in the Germantown section of the city for a report of gunshots. When they arrived they found a 45-year-old man inside the home suffering from a gunshot wound to the stomach. 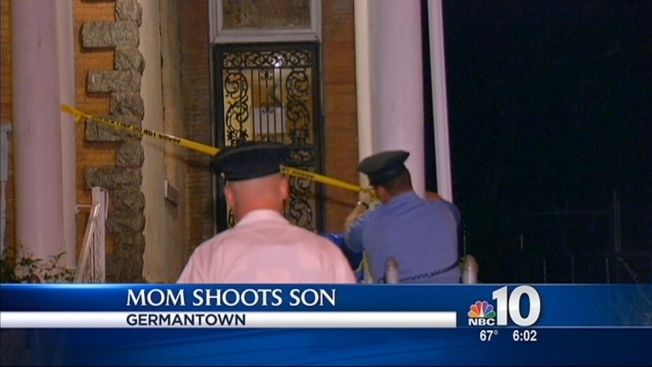 Police interviewed the man's 78-year-old mother who claimed she shot her son in self-defense. The woman told police she was inside her home when her son, who appeared drunk, threatened to strangle her. The woman says she was frightened and barricaded herself in her second floor bedroom when she heard two loud bangs. That's when police say the son pushed his way into his mother's bedroom. The man then allegedly pointed a gun at his mother and said, "I'm gonna shoot you b****." The woman says she then picked up her own handgun that was on her bed and fired multiple shots, striking her son once in the stomach. The woman says her son fired a shot while leaning against the wall. The bullet missed her and struck a wall. The woman says she then barricaded herself inside her room until police arrived. The son was taken to the hospital where he underwent surgery. He is currently in stable condition. Police say he will be charged with aggravated assault and other related offenses.